September 26 , by Mardi Robyn. The moment I saw these earrings I knew I had to post the link to the tutorial! These remind me of jewelry and crafts some of my Great Aunts, and Aunts made in the past. 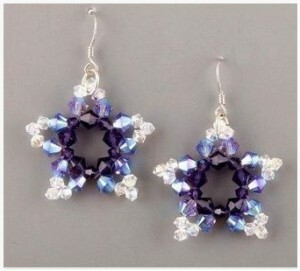 Check out the diagram and picture tutorial for these Beaded Star Earrings.